Explore locations around the city of Leeds discovering the emblem of the city. 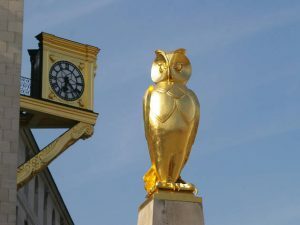 Meet at Burley Road at 4pm to catch bus into Leeds for a walk looking for the city’s owls. The walk will finish at 7.00pm. Please sign up in Reception to reserve your place. Culture Club – Yorkshire Day!